Old Ponte Vedra Beach | Homes for Sale Ponte Vedra Beach's most desirable neighborhood. Generally speaking, Old Ponte Vedra is the area North of Corona, East of A1A, and just South of the Duval County line. The main streets in Old PVB are: Solana Road, Corona Road, Ponte Vedra Boulevard, San Juan Drive, Pablo Road, Rutile Drive, and Lemaster Drive. There are also some great small streets off of each of these roads – LaVista Road, Maria Place, and Lake Road to name a few. The biggest landmarks in Old Ponte Vedra are the Ponte Vedra Inn and Club, The Lodge, The Cabana Club, and Christ Episcopal Church. There is no neighborhood association, though the Ponte Vedra Community Association and the Ponte Vedra Municipal Services District help serve the area. Old Ponte Vedra was the first developed residential area in Ponte Vedra. The bulk of the homes were built in the 1960s and 1970s as second homes, though there are a few that date back to the 1930s. 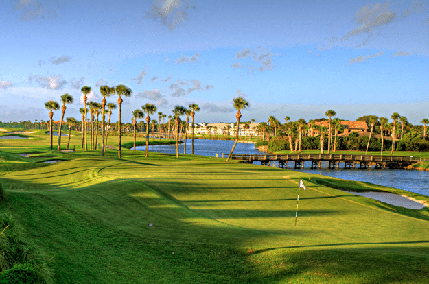 Old Ponte Vedra is a highly sought after area due to its proximity to the beach and area beach clubs, easy access to Butler, Jacksonville Beach, and Neptune and Atlantic Beach. There is a great deal of high-end new construction going on in the area, and you’ll often see older ranch homes being demo’d with new homes going up.